Leaving the dog at home while you go on a vacation is a horrible feeling. As you move further away from your home town, be it by car, plane, bus or train, your mind becomes plagued with images of your pet running around your home, feeling abandoned, looking for you, barking for hours straight. The best qualities in a dog, devotion, loyalty – they tear at the both of you when you are not together. On the other hand, if you’ve decided to bring your four-legged buddy along for the ride, you know you’ll be in for trip planning from hell. 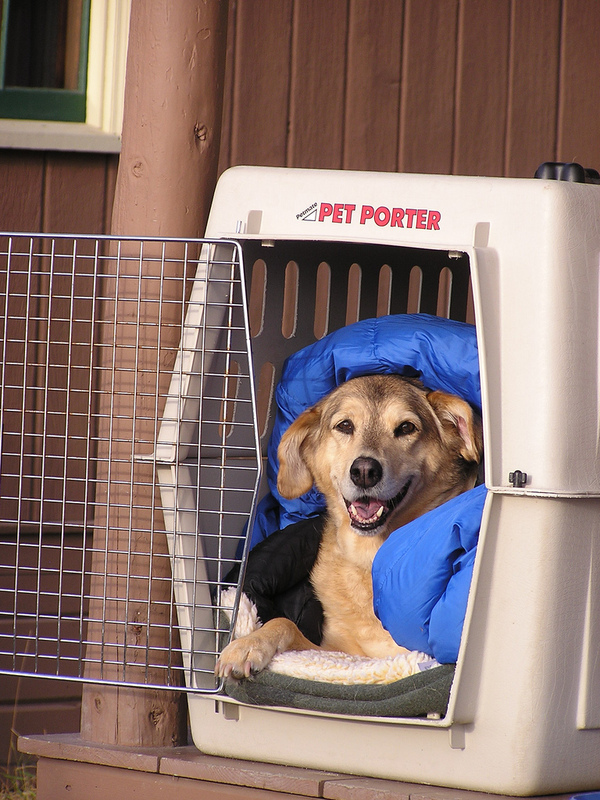 First things first – you’ll be needing a standard dog travel crate. Now let’s get the rest of the prep out of the way! You’ll want to make sure that Fido goes out for a very, very long before the trip, so that it gets very tired and easier to handle. Feed it no later than 4 hours before the trip, so that it has time to fully digest the food, and not need to “go” on the trip. And not only is number #2 a problem – vomiting is as well. 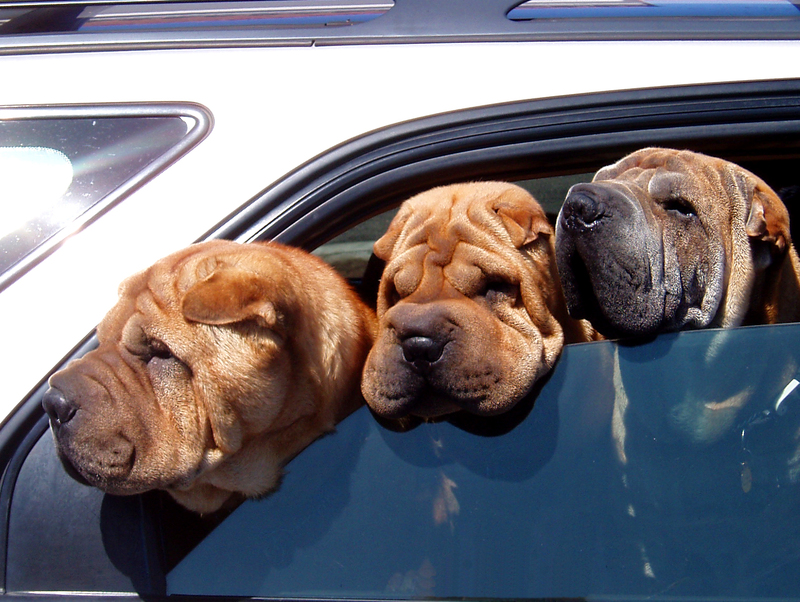 Dogs don’t take as many car rides as their humans, and even the toughest pups are prone to motion sickness. Another good reason to leave on an empty stomach. Do not let the dog stick its head out of the window in cars. This is a distraction, and a great way for somebody to get injured. Take care to pack all its dog accessories: favorite toys to stay busy and calm during the trip, dog medicine, food, a leash and poop bags, pet travel paperwork. Naturally, if you are travelling by plane, check with the airline company what its pet policy is, and what you can put in the crate. It is a good idea for the vet to visit before the trip and give the dog something to calm it down through the flight. Bring your own bottled (tap or otherwise) water. House dogs have extremely sensitive tummies and something they’re not used to can upset it severely! This goes for plane, train and car travel. Once you’ve reached your destination and the dog is awake, make sure to take a walk almost immediately. It will do you both good to stretch your legs and get the hang of your new surroundings. Dogs in new places usually feel insecure and threatened due to the basic animal instinct of territorialism. Let it gather all the smells, sounds and sights, so it can regain a sense of safety. Be sure to ALWAYS keep the dog on a leash abroad, but always use flat collars. So there. you can provide a vacation for your entire family, including your pets. New surroundings can open them up a bit, and a little bit of running around a new place will keep anxiety away. Furthermore, when you come back home, your dog will love its own garden and familiar home all the more, and there’s no place like home.